Linda Crombeen, along with PWU Stewards Jason Elliott and Tim Crawford, presented a cheque for $750 to Kincardine Pride Directors on April 25! 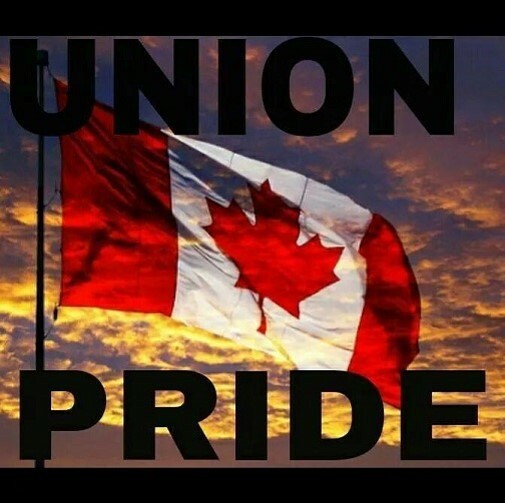 Kincardine Pride Inc. wishes to thank Power Workers’ Union for its generosity in sponsoring our second Annual Kincardine Pride Parade, to be held on June 23, and for supporting our efforts to demonstrate that Kincardine is an LGBTQ-inclusive community that celebrates gender diversity. This entry was posted in Uncategorized on April 30, 2018 by greybrucelabour. Hundreds of workers at the Compass Minerals salt mine in Goderich walked off the job Friday afternoon. In total, 341 miners, electricians and hourly employees are involved in the strike action. The company and union have been in contract talks since March. Union leaders say seniority, overtime and benefits are among the major outstanding issues. Compass Minerals says work will continue at the site with other employees. Forty-eight of the mine’s employees were laid off in February. This entry was posted in Uncategorized on April 28, 2018 by greybrucelabour.